No doubt, investing in your education falls under the “good debt” category because it is money spent in order to increase your chances of landing a job, or increasing your earning potential. However, student debt is climbing upwards at a swift and steady pace, creating concern. “Although education opens doors for opportunities; students who graduate with heavy debt loads are at a disadvantage financially,” says Jeff Schwartz, executive director, Consolidated Credit Counseling Services of Canada. One reason students end up saddled with so much debt is they assume their student loan will cover all of their expenses (tuition, books, living etc.). The government calculates your student loan based on what your family income is, so depending on your circumstances, your loan amount may be less than the actual cost. 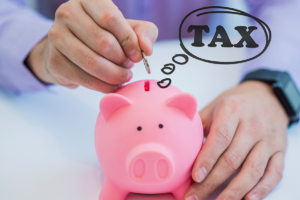 Find ways to cover these extra expenses before you have them (i.e. accumulate extra savings, part-time job) so that you don’t have to borrow more on credit. Here is a circumstance where going to school can teach you some valuable life lessons – especially when it comes to money management. Set a rigid monthly budget in detail with your expenses (school and living). Resist the urge to over spend. Staying on track with your budget will help you spend within your means so that you can avoid taking on more debt. Although delaying your education may seem like you are creating more distance between yourself and the financial milestones you’d like to achieve after graduation; putting off your education for a year to work and accumulate savings might actually get you further ahead. The easiest way to avoid going further into debt is to borrow less. You won’t be dealing with interest, and you’ll be able to get right down to the business of living right after graduation. 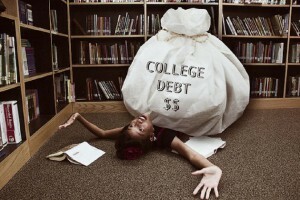 Student debt standing in your way of getting ahead? We can help. Call one of our trained credit counsellors 1-888-294-3130 or check out our free online debt analysis.